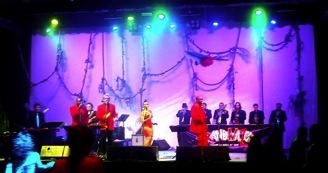 GRAND WAZOO is a legendary 13 piece band, which provides the most authentic and entertaining Soul Music experience in Australia—featuring the great hits & dance tunes, rare gems not performed by other outfits, along with Grand WaZoo originals in that same big brassy style. 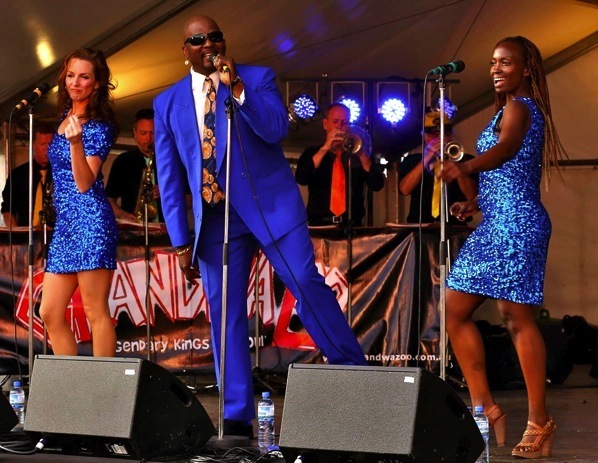 .It is also a quality reading, backing outfit of 10 musicians + 3 singers, who can perform any style or genre, in the vein of the extraordinary Funk Brothers. And not only does Grand WaZoo sound musically wonderful, but it also looks like ‘Soul’, with a multi-generational, multicultural line up — with wide appeal to all ages. 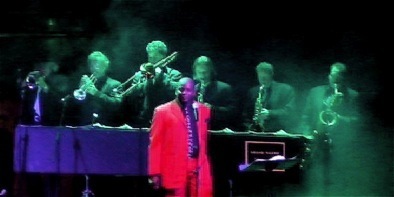 The Band was founded in 1981 by Trumpeter & Arranger, John Montesante, who still leads the Band today. 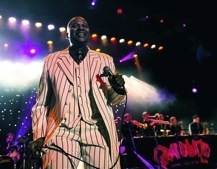 He had previously been a founding member-arranger of ‘Kush’ and toured with ‘J.A.Madison’, ‘Jo Jo Zep & The Falcons’ and other rock, soul and r&b bands, like ‘Dutch Tilders’ & ‘Tinsley Waterhouse Band’ as well as performing freelance in numerous show bands, big bands and TV orchestras. Many faceted — also a passionate Jazz musician —he determined to create quality work opportunites for his peers. 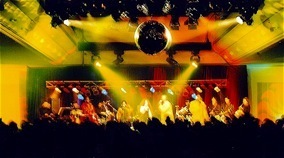 Grand WaZoo then became a rite of passage for many of the finest artists in Australia, who have gone on to stellar careers, and most outfits that have followed in the Soul genre, have taken their inspiration from this mighty band. 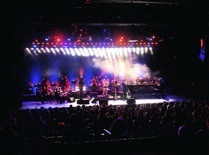 GRAND WAZOO offers musical excellence, longevity, experience and entertainment value second to none; and is widely revered as a "Soul Institution". 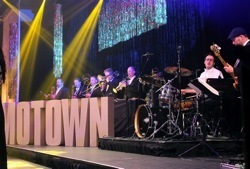 The Band's usual offering is a Soul Extravaganza of up to 2 x 1 hour sets — with some flexibility for special events, functions, festivals and media. 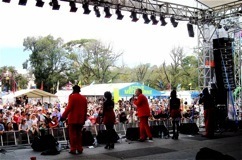 Grand WaZoo has backed and supported international and local well-known artists, including The Temptations, Wilson Pickett Band, Sam & Dave, Venetta Fields, Leo Sayer, Ross Wilson, Anthony Callea, Rhonda Burchmore, Jon Stevens, Joe Camilleri, Max Merritt, Normie Rowe, Mahalia Barnes, Ian Stenlake, Tim Campbell, Jeff Duff, Marcia Hines, Kate Ceberano, Hollywood Brown, Bob Valentine, Peter Cupples, Hot Chocolate, Lisa Edwards, Renee Geyer, Jackie Love and many others. Grand WaZoo has recorded 4 band albums : Reverend Blues (1985), Band of 1000 Dances (1998), Tribute to Alvie Lee Johns Jnr (2005), Soul Monster (2007) & also backed Max Merritt on his 40 Year Live Concert Album (2003). The Band has also performed “live” in the media - including regular appearances on Hey Hey Its Saturday, GMA (Good Morning Australia), Midday Show, Denise, The Don Lane Show, The Footy Show, and also on ABC Radio & numerous AM & FM radio outlets. GRAND WAZOO is available for local Shows and Concerts, Prestige Tours & Corporate Events interstate, as well as International Gigs and Festivals. 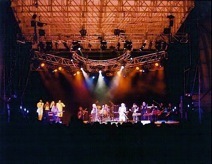 The size and status of the band places it at the higher end of the entertainment market. l SLY + FAMILY STONE | SMOKEY ROBINSON | SOLOMON BURKE | STEELY DAN | STEVEN BALL I STEVIE WONDER | STYLISTICS | SYL JOHNSON | THE SHIRELLES | THE SUPREMES | THE TEMPTATIONS | TINA TURNER | TOWER of POWER | WILLIE MITCHELL | WILSON PICKETT. I Inflation, International Flower Show (Exhibition Gardens), International Blues & Music Festival, International Jazz Festival, The Italian. U V Underground Nightclub, Village Green Hotel, Velvet Room-TT, Victory Room -Etihad Stadium, Village Green Hotel.